An Aberdeen doctor given a second chance after dishonestly taking home extra pay from her NHS job has now been accused of receiving cash she was not entitled to. A north-east doctor’s surgery has been forced to close due to understaffing. An event which will discuss the first female medical graduates of an Aberdeen university is to take place. A senior north-east medic has called spousal immigration rules a “human tragedy”. They are the dedicated staff who have worked tirelessly to make sure patients receive the best healthcare possible. Demolition work could start this summer to make way for a new housing development for nurses and doctors in Aberdeen. An Aberdeen university scheme is aiming to attract medical students into a career as a rural GP. 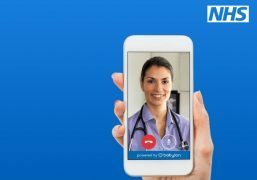 A new 24-hour service for NHS patients to contact a doctor via videolink on a smartphone has launched in London. The number of vacancies for consultants and nurses in the North-east has increased. Doctors and patients have a special relationship, one that is supposed to be free of judgment – but that isn’t always the case. At least two GPs have quit a city surgery, leading to emergency cover being brought in. A PLINTH is to be rededicated to a doctor on the site of a hospital he founded.